Their answer to James 1:27 is simply to encourage people to adopt. Or, to actually adopt. Apparently a lot of people think all the problems are solved if people just adopt orphans. But let's look further. James 1:27, (AMP) says, "External [religious worship as it is expressed in outward acts] that is pure and unblemished in the sight of God the Father is this: to visit and help and care for the orphans and widows in their affliction and need, and to keep oneself unspotted and uncontaminated from the world. As an adoptee, as a Christian, and as a minister of the Gospel, this is perfectly clear to me. Regarding orphans, scripture indicates we are to help and care for them in their affliction and need. The Bible pinpoints what many Christians, (and people in general), have yet to recognize. Orphans are indeed afflicted. The dictionary definition of afflicted is: "to distress with mental or bodily pain; trouble greatly or grievously." The Bible itself indicates that orphans experience mental distress and bodily pain - troubled greatly and grieved. The fuller truth that no one outside of the demographic of adult-adoptees seem to be asking is, "Why are they afflicted?" Most believe they are simply afflicted because they have not been adopted yet. If one dares to ask, millions of adult adoptees will confirm that this is not entirely true. The reason orphans are afflicted is not simply that they may have needed someone to adopt them nor will that affliction go away simply because they are adopted. They are afflicted and in need because they have experienced the trauma of the separation from their first family. Orphans experience a complicated and significant loss. If one wants to follow the biblical admonition to help an orphan and care for them, they will start by realizing why the orphan is hurting. They will admit that the separation of a child (even an infant) from their first family is horribly traumatic. They will recognize the true needs of the child. Then they will go about helping them in such a way that places the need of the orphan at the center. Because that's what helping someone entails -- thinking about the other person, and not yourself. Those who help orphans reach out with the orphan's wholeness in mind, not their own. Those who help are willing to be part of situation that is messy and doesn't get cleaned up immediately post-adoption. In fact, it may never get cleaned up. And this is not a "lack of faith". Nor is it negativity. Are they okay with that? Caring for an orphan means total openness, from the very beginning. Because you don't hide things from people you really care about. Helping them means the orphan lives with absolutely no secrets about him or herself. Caring for them means the orphan has every bit of information available to them that concerns them. Helping them means having lifetime access to counseling for post-adoption issues. Sadly this isn't the kind of help a lot of people have in mind. Helping them and caring for them means doing what's best for them, not doing what it takes to fulfill your dreams. It's not about meeting the needs of your heart. It's all about them. "Regrettably, in many cases, the emphasis has changed from the desire to provide a needy child with a home, to that of providing a needy parent with a child. As a result, the whole industry has grown, generating millions of dollars of revenues each year." 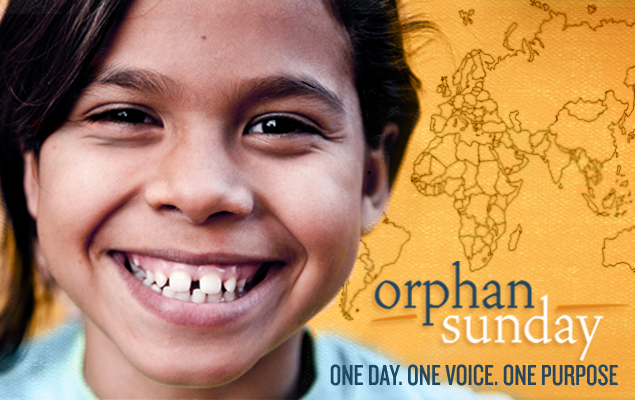 For orphans to be helped and cared for, the emphasis must be on the orphan, not the parent, or an organization. We have a long way to go for a shift to take place in this regard, because right now much of the focus is on filling childless couples' (or in some cases a single parent's) empty arms, as well as keeping the billion dollar adoption industry in business. When doing what is best for orphans it makes perfect sense to ask the millions of people who are adult adoptees. They are rarely asked and usually written off as angry or inexperienced even though they have a lifetime of experience and more qualification to speak to the matter than licensed professionals who are actually making the decisions for orphans. The fact that adult adoptees are rarely asked, and there is such fear of their honest opinion, is very telling in itself. On Orphan Sunday, I plan on making myself available to do what I also stand ready to do any day of the year which is helping and caring for those who have experienced the trauma of separation from their first family. I plan on taking part in the literal fulfillment of James 1:27. Deanna Doss Shrodes is a licensed minister with the Assemblies of God and has served as a pastor for 27 years. Currently she serves as Women's Ministries Director of the Pen-Florida District of the Assemblies of God. Deanna speaks at churches and conferences internationally and is also an accomplished musician and certified coach. Adopted in 1966 in a closed domestic adoption, she searched and found her original mother, sister and brother and reunited with them in 1993. Deanna blogs about adoption issues at her personal blog, Adoptee Restoration, and also serves as the spiritual columnist at Lost Daughters. She has contributed to five highly acclaimed anthologies and is the sole author of JUGGLE and Worthy To Be Found. 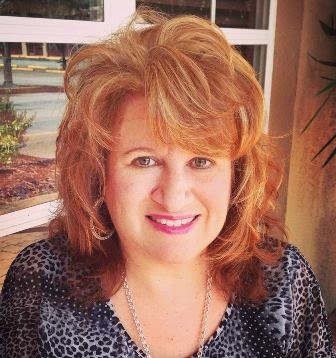 She leads a support group, Adoptee Restoration Tampa Bay, for adoptees in the Tampa Bay area.